CALGARY, March 10, 2016 /CNW/ - Big Rock Brewery Inc. (TSX: BR) ("Big Rock" or the "Corporation") announced its financial results today for the fourth quarter and year ended December 30, 2015. The Corporation reported an increase in sales volumes of 9% to 42,787 hectolitres ("hl") for the fourth quarter of 2015 as compared to 39,194 hl for the same period in 2014. The reported operating loss was $55 thousand for the three months ended December 30, 2015, compared to an operating loss of $224 thousand for the same period in 2014, while net loss was $54 thousand for the fourth quarter of 2015 as compared to $106 thousand for the same quarter in 2014. For the year, sales volumes increased by 8% to 181,951 hl compared to 168,268 hl for 2014. Operating loss for the year was $1,146 thousand and net loss was $1,075 thousand compared to profit of $715 and $624, respectively, for 2014. In Alberta, Big Rock's principal market, and the region subject to the fiercest competition, Big Rock grew volumes and gross profit despite the difficult economic conditions. The Corporation also kept selling expenses below the same periods in 2014. Recently rebranded and relaunched products, including AGD, Big Rock's most approachable lager, continued to see an enthusiastic response from consumers. These products are in the value-priced category and as a result per-hectolitre margins were compressed. Margins in Alberta remain under sustained pressure. A 27.5% increase in Alberta Gaming and Liquor Commission ("AGLC") markup tax rates early in the year hampered Big Rock's ability to implement a planned price increase to cover rising input costs. The Corporation has not introduced a general price increase in Alberta since November 2012. In October, AGLC introduced another change in markup rates. The immediate effect of this change was a slight rollback of the previous increase applicable to Big Rock but the longer-term effect is still being assessed by the Corporation. The financial impact for the year resulting from these net tax increases was $1,296 thousand. Despite the economic conditions and increased government markup rates, net revenue per hectolitre for the three months ended December 30, 2015 was the highest it has been for any quarter since 2013. Fourth quarter gross profit was the best same quarter performance since 2012. These increases are the result of growth in key strategic brands combined with a continuing focus on enhancing production efficiencies. In Vancouver, Big Rock Urban, the Corporation's newest brewpub and brewery operation, has been well-received by local craft consumers. CEO Robert Sartor remarked, "We knew that consumers liked our new downtown Vancouver brewery, restaurant and retail store based on feedback we would regularly receive from visitors to our operation there, and we were thrilled to win awards for our beer. The final confirmation that we had truly become part of the Vancouver craft beer scene was our recently being named 'Best New Brewery' by Georgia Strait, a magazine that regularly follows BC's craft beer scene." As Big Rock Urban is still developing its beer portfolio it is not yet selling at full capacity and therefore has a higher per-unit cost of sales and higher selling and marketing costs to increase awareness. Big Rock's Ontario expansions continue to progress through the initial planning and pre-permitting stages. Sales volumes grew in Ontario as the Corporation engaged in awareness-building promotional activity, including 'pop-up' parties at the site of the new brewpub. This promotional activity did have a negative impact on current period results for the region. "Our Etobicoke brewery is a beehive of activity as we get ready to start production in the second quarter of this year," noted Mr. Sartor, "We expect to leverage the great relationships we that have with the grocery chains in Alberta to get our beer into the grocery stores in Ontario that have recently obtained licenses to sell beer. To that end, we have already begun gaining listings in Ontario grocery stores." In Vancouver, the Corporation introduced eight new permanent and limited-time beers, two of which have already won awards at the BC Beer Awards. The Financial Statements and Management's Discussion and Analysis dated March 10, 2016 can be viewed on Big Rock's website at http://bigrockbeer.com/sites/default/files/2015q4.pdf and on SEDAR at sedar.com under Big Rock Brewery Inc.
Big Rock is also pleased to announced that the annual meeting of Big Rock shareholders will be held on May 12, 2016 at 2:00 pm (Calgary time) at the Big Rock Brewery, 5555 — 76 Ave S.E., Calgary, Alberta. In accordance with Big Rock's advance notice by-law, the board of directors has set 5:00 pm (Calgary time) on April March 25, 2016 as the deadline for receiving any nominations. the Corporation's assessment of the long-term effect of new AGLC markup rates. further revisions to AGLC markup rates will not be proposed or implemented. 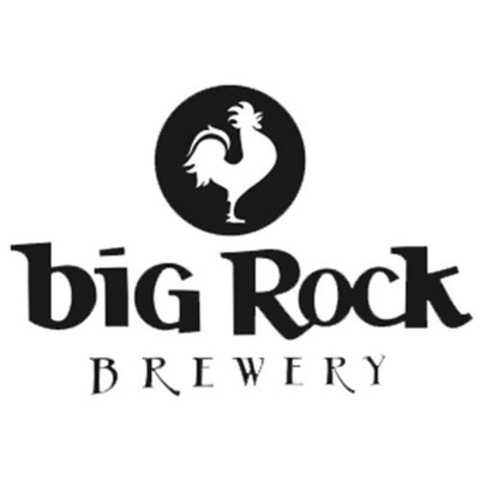 About Big Rock Brewery Inc. Big Rock Brewery Inc. headquartered in Calgary, Alberta, also has a local brewery in Vancouver, British Columbia, and (coming in 2016) a brewery in Etobicoke, Ontario. Big Rock produces premium, all-natural craft beers. As one of Canada's founding craft brewers with over 30 years of brewing experience, Big Rock boasts a family of exceptional ales and lagers, Rock Creek Cider® series of ciders, and an ongoing selection of seasonal beers.